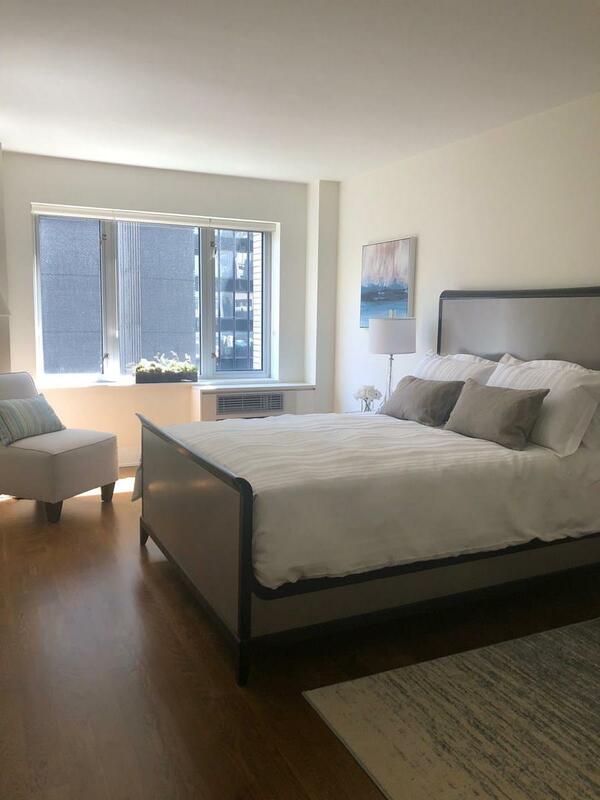 Welcome the one of the most desirable condos in Midtown East! The building was converted to luxurious condominium in 2008 and was gut renovated. This 868 sqft apartment offer a very specious layout with south facing windows! Stunning 4-inch solid white oak hardwood floors, lavish marble surfaces, 9-foot ceilings, and abundant closets. The kitchen is equipped with modern wood and lacquer cabinetry, granite counter-top and stainless-steel appliances. The apartment has a washer/dryer combo unit as well as a laundry room and private storage in the basement. The building is situated on a tree-lined charming block directly adjacent to one of NYCs best-kept secrets  Greenacre Park  a lush Zen garden with a 25-foot-high waterfall. The building features a marble lobby with 24hr doorman, a laundry room, a bike room, state-of-the-art fitness center.